Spring is approaching and it’s time to start plotting your garden. First, what are you hoping to grow? A specific variety of squash or particular heirloom okra? Whatever it may be, the Hotchkiss Seed Library probably has it! They have a vast array of seeds to peruse that any library member can check out. The seed library in Hotchkiss first came to mind in the fall of 2013. North Fork Regional Library Manager, Kit Stephenson was inspired to start collecting seeds after hearing about a seed library on National Public Radio. At the same time Stephenson’s idea bloomed, The North Fork Heart and Soul Project in partnership with the Western Colorado Community Foundation were offering a grant to North Fork Valley residents and organizations. A public forum was held and the Hotchkiss Seed Library received the most votes, and was presented with The People’s Choice Award. Word got out, and heaps of seeds began flooding in from generous patrons and seed companies. Volunteers and staff worked diligently to sort, package, and label seeds preparing the library for enthusiastic gardeners. By March of 2014, the fall and winter seed cache was extensive enough for people to begin checking out anything from Vittoria Eggplant to Profusion Zinnia. The library also provided a number of opportunities to get involved and learn about seed saving throughout the year, including classes, presentations and the first ever Tomato Festival. The Hotchkiss Farmers Market and the Creamery Arts Center collaborated with the Seed Library to offer the Tomato Festival, providing activities such as tomato art, tomato growing contests, and tomato seed saving demonstrations. Overall, the educational activities and festivities put on by the Hotchkiss Seed Library were a hit that prompted even more people to utilize this fantastic community resource. In the Seed Library’s first year, over 180 community members checked out more than 1200 seeds! 2015 is off to a great start as well! Just last month, 22 volunteers and staff reconvened at the Church of Art to sort, package and label seeds. Labels include the name of the species, as well as a tag that reads easy, intermediate or advanced. The tag is helpful because it conveys how simple or difficult it is to save each type of seed. 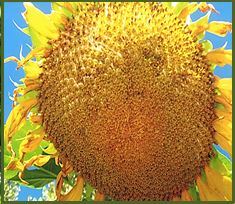 It’s a wonderful idea to ease beginners into saving seeds yet challenge experienced gardeners. In fact, if you’re thinking about checking out the Seed Library, come this Thursday, March 5 for the Seed Swap! There will be an open house from 12:00-6:00pm and all are welcome; even those who attend empty handed. It will be the perfect opportunity for savers who are still green to get advice from experienced gardeners, and for more advanced savers to attempt new varieties. 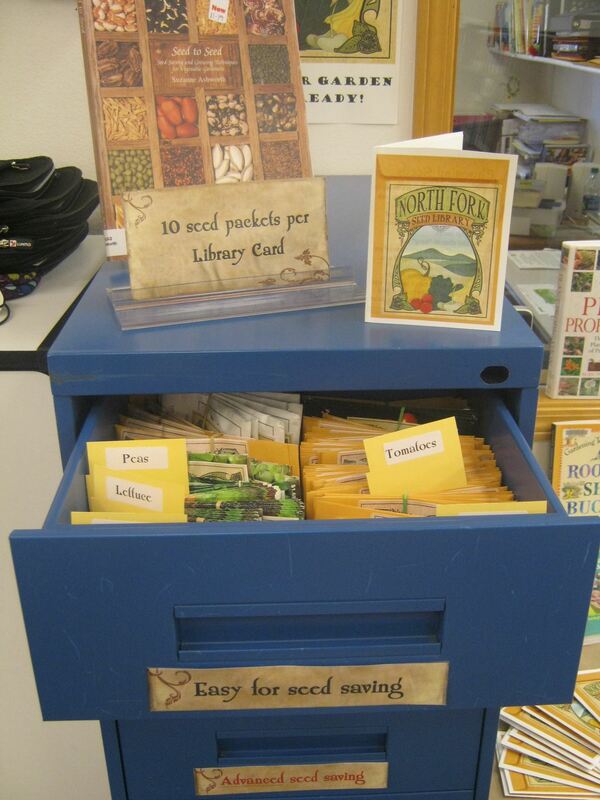 Sarah Pope, who helped spearhead the Seed Library, is also planning more fun, interactive activities for seed savers this year, and is excited to announce that all Delta County Libraries have been recently equipped with seed cabinets of their own! The main body of seeds will still remain at the Hotchkiss Library, but now patrons can check the library in their hometown first before requesting seeds from Hotchkiss. The online catalog is an easy way to see what’s available from home! The North Fork Valley has an incredible sense of community that has grown even stronger with the addition of the Hotchkiss Seed Library. Library volunteers and the community support in general has been tremendous, and I encourage you to take part in reconnecting with the land by growing, harvesting and saving seeds for other aspiring cultivators to grow. For the eager gardeners out there, here’s a little music that is sure to inspire ideas for what to grow this year.